It comes around so quickly doesn’t it? It barely seems two minutes since the last one but here we all are, talking about the big day like a bunch of excited five-year olds. Who’s coming? Do we think it will snow this time? How much will we have to eat? The count-down has begun. Yes, it’s that time of year when Nigel really starts drumming up interest in the Manx 100. At the time of writing there are only 233 days to go until 31 July 2016. To be fair he does this all year round but he gets more insistent as the event draws nearer - his efforts do pay off though and the entries have trebled in the time that I’ve been making the annual journey out to the island to do it. So what is it? Well, it’s a 100 mile, single-lap race over a very wide variety of terrain, exactly none of which is in a neatly manicured trail-centre. 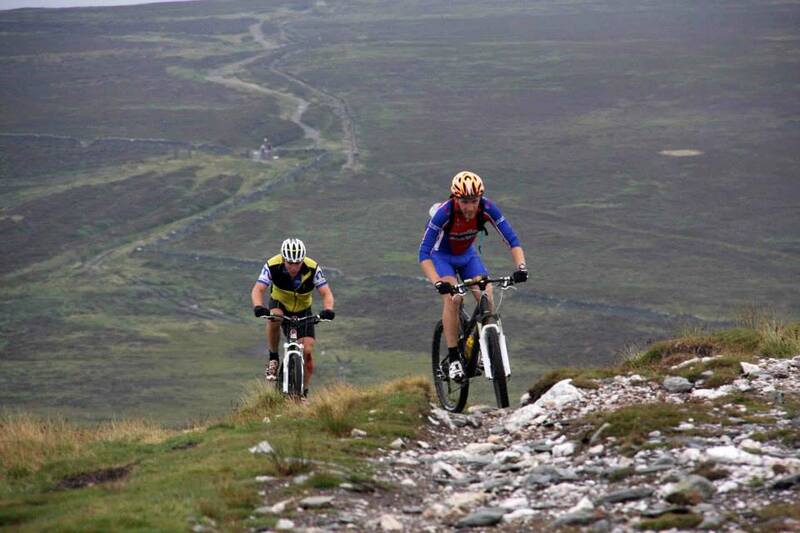 Oh, and there’s something in excess of 16,000ft of climbing too. There is a 100km option for those keen to see what all the fuss is about but less keen to commit to the big one until they know what they are letting themselves in for. There is some support out on the course (lots of marshals and a couple of bag-drops) but for the majority of the event there is a real sense of being in the middle of nowhere, be it open fells and moorlands, dense forests, old quarries or disused mines. It is signposted but an ability to read a map is useful, especially if it's really, really, really foggy, which it won't be, it will be lovely and sunny. As an extra-special-added-bonus you even get to begin on the start line of the TT which almost makes up for having to get up at silly-o’clock. He also has an interview with some of the brains behind the event, Nigel Morris, Guy Whalley and David Kelly. Entries for the 2016 event are open on the Manx 100 website. It's cheaper if you get yours in before the end of the year. Go on, you know you want to. I've collected together a few blogs from the event if you want to have a read and see what it's all about. Every single one of them is saying positive things, and it's not because I've just picked out the favourable ones, there simply aren't any saying anything bad about it.